I have enjoyed this entire series. It took me a while to connect to the characters this time, but this story was just as enthralling as the rest. I can't wait to see what happens next! What a great suspense. 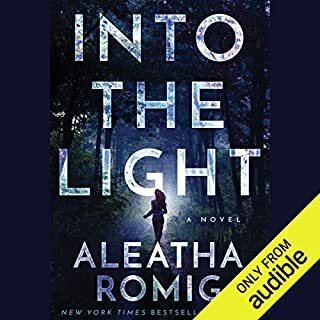 The way Aleatha Romig did this story was phenomenal. I need Away From The Dark now! The narrator does a great job bringing this story to life. 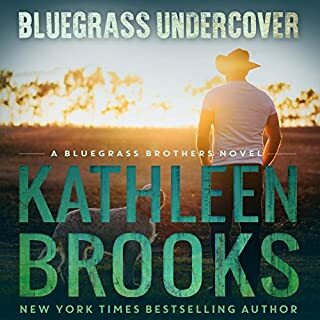 It has great suspense and several romance plots that kept my interest and wanting to hear more. I loved Trent & Grace's story & the audio made me love it even more. The narrators do an amazing job of bringing the story to life. 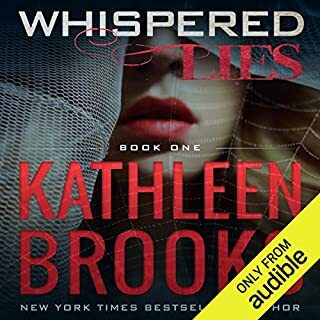 I loved everything about this audible! 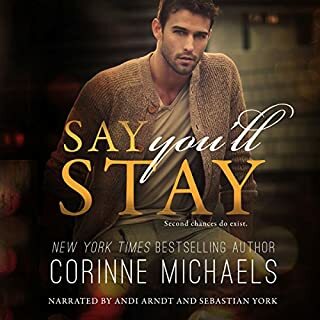 Corinne Michaels wrote an excellent, emotional story, and the narrators did an awesome job bringing it to life. Hearing the words spoken is so much more powerful than reading them. As a natural born leader, Miles Davies accomplishes anything he puts his mind to. Upon returning home from his special forces duties, he has become the strong foundation of the Davies family and his company. But that strong foundation is about to get rocked in a big way by the one woman that always left him fascinated and infuriated. Keeneston's notorious bad girl is back! Morgan Hamilton's life ended and began on her high school graduation night when she left Keeneston with no plan to ever return. I loved Miles & Morgan's story. 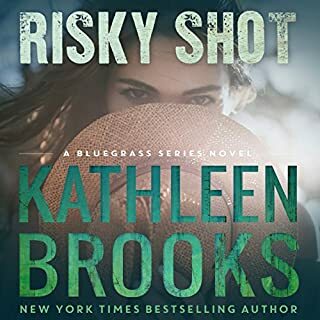 It contains all the suspense and comedy that I have come to expect from The Bluegrass books. 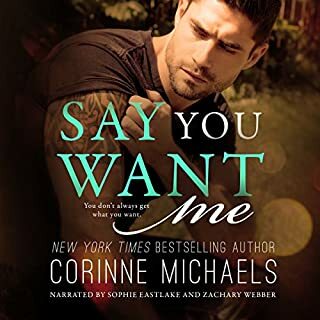 I love everything about this audiobook! The narrators do a fantastic job bringing Zach & Presley's story to life. Eric G. Dove does an excellent job with the narration of this book. I love how he can change his voice and do the difference accents. Cade and Annie's story is full of suspense and comedy. I found myself laughing out loud at the commentary between the characters & the suspense kept me wondering what was going to happen next. 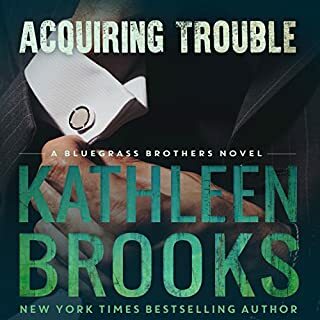 In the second book of the Bluegrass Series, Danielle De Luca, an ex-beauty queen who is not at all what she seems, leaves the streets of New York after tracking the criminals out to destroy her. 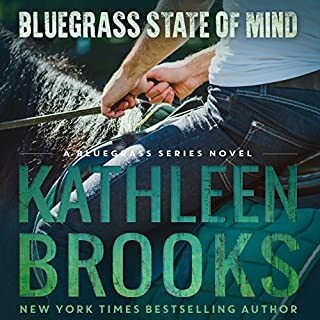 She travels to Keeneston, Kentucky to make her final stand by the side of her best friend, McKenna Mason. While in Keeneston, Danielle meets the quiet and mysterious horse farm owner Mohtadi Ali Rahman, a modern day Prince. Can Mo protect Dani from the group of powerful men in New York? The narrator does an excellent job with the southern & Arabian accents, as well as the different voices for the characters. I loved Mo & Dani's story. The suspense was continued from book 1, along with the humor. I enjoy a book that keeps me wonder what is going to happen next and makes me laugh. I was very impressed with how well the narrator did the different accents and voices. The story was full of suspense, humor, and romance, which is what I love. 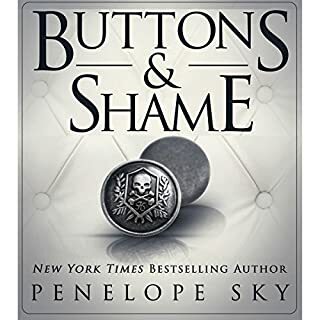 Kenna and Will's story is beautiful and I can't wait to see what happens in the book.